Domestic violence, in all its unsightly forms, reaches every corner of our society. Abuse is an issue that does not respect race, gender, sexuality, class, religion or wealth. It is however, especially prevalent in previously disadvantaged communities. Women, children and men are subjected to physical, verbal, psychological, emotional and financial abuse daily. Alarmingly, abuse most commonly occurs within a domestic setting. Bearing this in mind, we are faced with a simple question. What can we do to combat and prevent domestic violence? Between the period of 17 January and 17 July 2018, the ProBono. Org Cape Town office has seen a significant decrease in the number of cases pertaining to domestic violence. We would like to think that our various community workshops held across Cape Town’s most poverty-stricken regions is positively influencing the number of clients seeking legal advice in respect of domestic violence. With the assistance of the selfless attorneys on our panel, we have managed to embark on a venture that entails educating the public and creating awareness on domestic violence and its far-reaching consequences. The aim of these workshops is not limited to merely creating awareness. We also aim to equip communities with the legal tools and mechanisms afforded to them in terms of the Domestic Violence Act and the Harassment Act. For example, the court process involved with instituting an application for a protection order is thoroughly explained and attendees at the workshops are encouraged to liaise with the local South African Police Services and court officials when utilising these tools. Previously, these workshops were limited to a few areas in Cape Town such as Khayelitsha and Macassar. 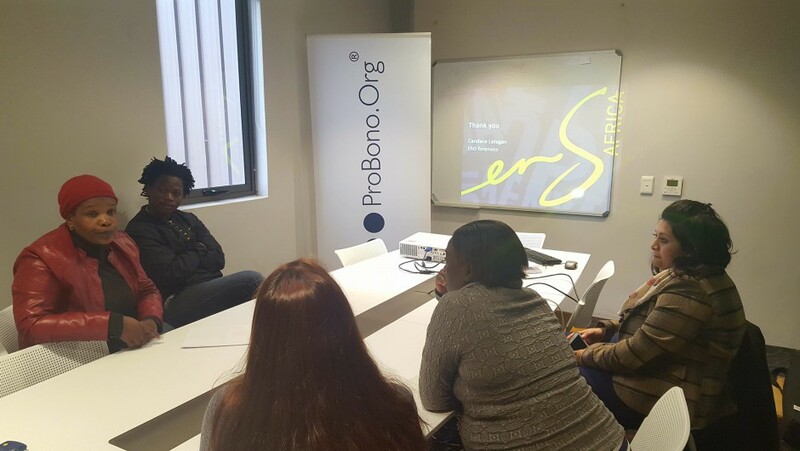 However, during the course of the year, the staff at the ProBono.Org Cape Town office in collaboration with the enthusiastic attorneys on our panel, have overseen workshops in several new areas such as Elsies River, Kuils River, Gatesville and Athlone. Furthermore, we are looking at branching out even further, with workshops scheduled to be held in Bonteheuwel, Delft and Bishop Lavis in the near future. The effects of branching out into these areas have been overwhelmingly positive. In tandem with the commitment of our panel attorneys as well as the dedication of the local community advice offices, a platform is being established where members of the community are being empowered with knowledge and equipped with mechanisms to combat and prevent domestic violence and, more importantly, educate their families, neighbours and colleagues in this regard. While the fight against domestic violence is a long and tedious one, blighted with obstacles and hardships, it is evident that the most significant way to assist communities in navigating these obstacles is to empower them with knowledge, creating a sense of awareness and informing them of the legal mechanisms in place. This in turn breeds a sense of confidence amongst the community and, we believe, impacts the number of cases relating to domestic violence that come through our door. This idea must continue to be enforced and should later transcend into all other areas of concern in the law… one community workshop at a time. South Africa has robust laws which protect the vulnerable but enforcement of these laws lags behind. There is a scarcity of lawyers working at community levels which hinders much needed legal reform. Grassroots justice is therefore required to fill the gap. In response to this problem, the Cape Town office of Norton Rose Fulbright SA, in association with ProBono.Org, launched a general legal clinic in the community of Langa on 7 February 2018. The clinic’s objective is to provide access to justice and to empower people to protect their rights. The firm will be providing pro bono legal services to Langa residents once a month for the next year. If you would like to offer your services at the clinic, please contact Nicki van‘t Riet. 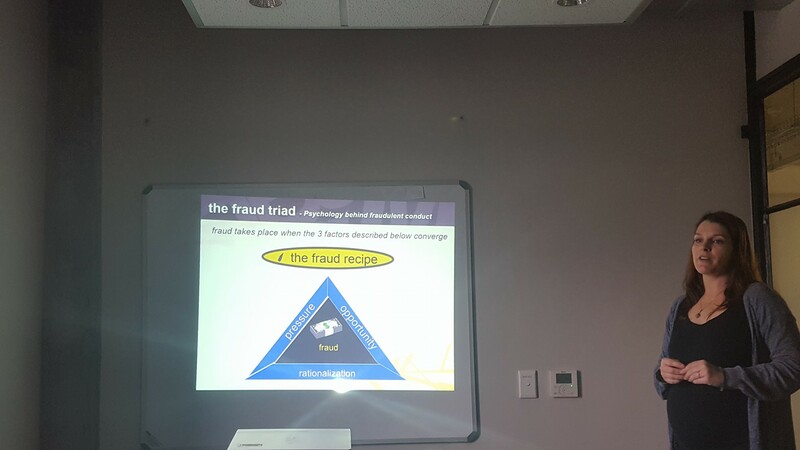 On the 24th of May, ProBono.Org Cape Town in conjuction with ENSafrica held a community workshop on Fraud. The speaker was Candace Lategan from ENS Forensics and attendees found the session to be quite interactive and informative.